NO Max Shred Trial Review - Should you sign up for this offer? NO Max Shred Trial Review – Should you sign up for this offer? The NO Max Shred trial claims to help you “maximise your workout”, which will enable you to gain “extreme muscle”. 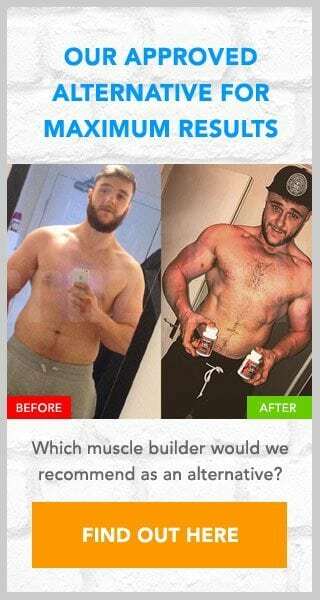 In the following review we will look to see how accurate these claims are and whether this supplement can indeed do what it says it can do. We will also look more closely at the pricing too, as we know from experience that this type of trial is rarely cheap. 4 Is NO Max Shred a scam? While these claims are impressive sounding you must remember that these have been designed to entice you to sign up for the offer as quickly as possible. It is sometimes best to totally ignore claims such as these and to instead focus on other aspects, for example the ingredients. If they are up to scratch then the claims will likely be true. The main ingredients of NO Max Shred are L-Citrulline, L-Arginine and Creatine. These have all been shown to be of some benefit to your own diet and training methods. Of course we would like to see a label, as this is the only way to know exactly what is contained. Nevertheless I can certainly see some benefit to using this product. As NO Max Shred is available for trial you should spend a little time reading the terms and conditions page as this will reveal to you exactly what the payment terms are. You should never assume that just because a product is available for trial that it is free to try, as this is rarely the case. With this trial you will be given 18 days from the date of purchase to decide if you wish to keep the product. If you do not cancel the trial within this timeframe then you will be charged the full purchase price of $86.51. After reading the T&Cs I can also reveal that if you fail to cancel the trial you will also be automatically added to an auto-ship program that will ship you further monthly packages. Is NO Max Shred a scam? While there is likely to be some benefit to using this product the cost of NO Max Shred is a little high. There are cheaper alternatives available that contain similar ingredients, so it maybe worth looking at one of those instead. The use of auto-shipping is certainly not desirable, and if you have signed up for this offer without reading the T&Cs you will likely be annoyed to find that you are charged for subsequent deliveries you may not even want. If you have signed up for this offer and wish to leave your own review then please use the comment form below. If you are looking for a product to help you gain muscle and strength but are put of by the hidden charges you will find with trial offers then look no further than D-Bal, a supplement made available to buy from Crazy Bulk. D-Bal contains proven ingredients that have been designed to help mimic the effects of the banned steroid Dianabol, but it is completely safe with no side effects. As D-Bal is unavailable for trial you do not need to worry about any hidden or repeat charges appearing on your bank statement.